Thanks to its easy locking gasket lid, the Crock-Pot Cook & Carry Slow Cooker will help you get to your final destination without making a mess. Amazon has Crock-Pot 6-Quart Programmable Cook & Carry Slow Cooker with Digital Timer, for $39.99 (Reg $60) with free shipping. 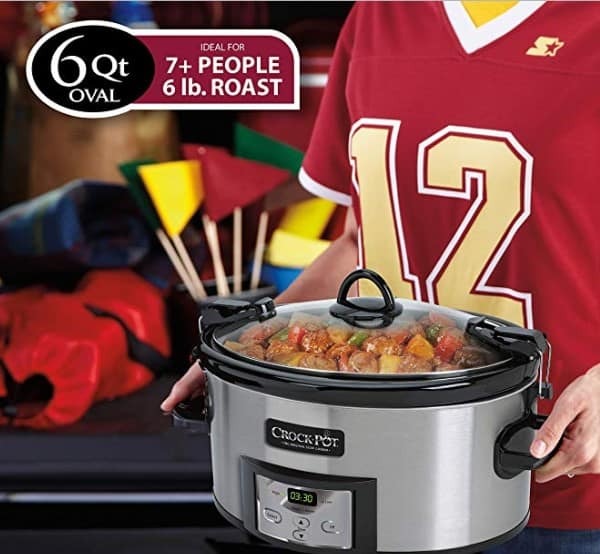 Ideal for all your favorite slow-cooker recipes, its 6-quart capacity and programmable time settings can accommodate varied cooking needs on your schedule.